Karl Siegmund Schönebeck (1758 - ?) 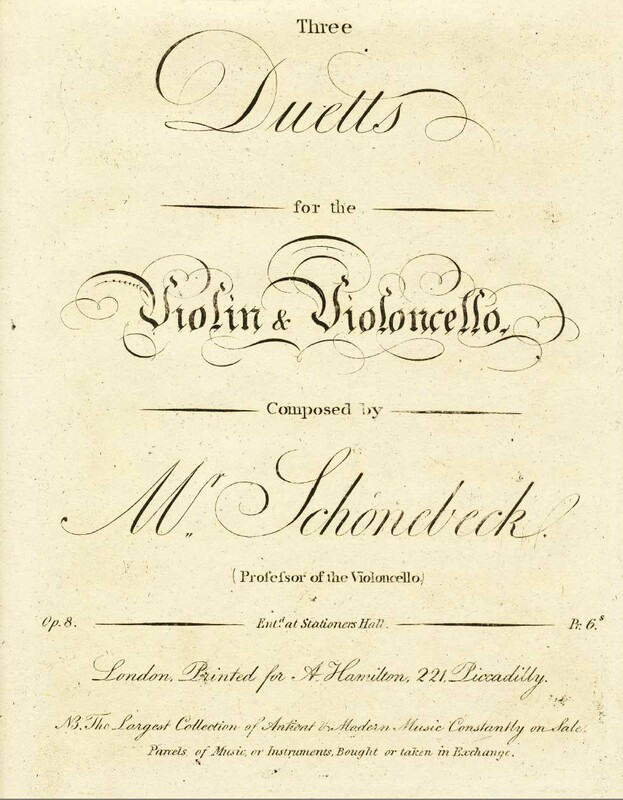 was active in Leipzig and wrote several concerti, operas, and Three Duetts for Violin and Cello, Op. 8, ca. 1800. This Duett No. 2 has only two movements: both are sonata form, and the second is marked Presto.